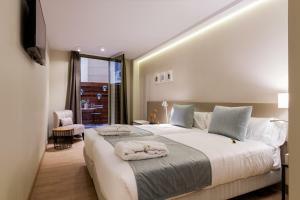 Featuring a rooftop terrace with a seasonal swimming pool and city views, Well and Come Hotel is located right beside Verdaguer Metro Station and 10 minutes’ walk from Sagrada Familia. Hotel Well and Come features a 24-hour reception, a lounge area with a fireplace, an on-site bar and a fitness area. 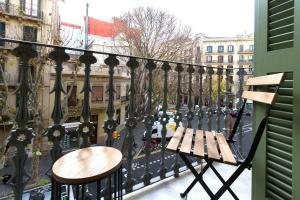 The famous Passeig de Gracia Boulevard is 5 minutes’ walk from Well and Come hotel. Gaudí’s La Pedrera and Casa Batlló houses can be reached within a 15-minute walk. 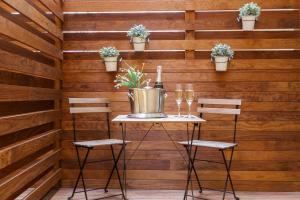 Featuring a private terrace, this soundproofed room includes free WiFi, a flat-screen TV and air conditioning. 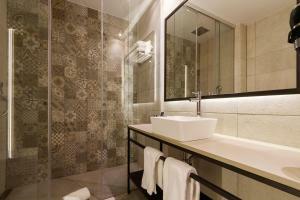 The private bathroom includes a rain shower. 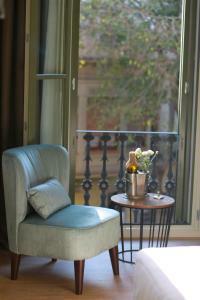 This room is located on the first floor and offers views to the interior courtyard. This soundproofed room comes with free WiFi, air conditioning and a flat-screen TV. 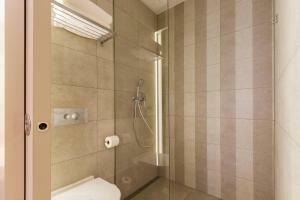 The private bathroom includes a rain shower. This room offers views of the interior patio. Rate: € 72.00 ... € 205.27; select dates below to get current rates. This twin/double room has air conditioning and minibar. This exterior facing room offer city views. Rate: € 84.38 ... € 229.07; select dates below to get current rates.